Many household appliances operate on natural gas, including stoves and hot water heaters. When you notice your an odor or some of your appliances are no longer working, you may need a professional to identify the cause and solution for your gas line problems. Gas leaks can potentially be hazardous and dangerous, so you'll want a professional plumbing company in Bakersfield that is qualified to work on any type of gas line. Robo Plumbing offers the best possible quality work and are experts at detecting hidden leaks, as well as installing new gas lines or replacing existing gas lines. When it comes to gas lines, you want to invest in the best possible quality work. 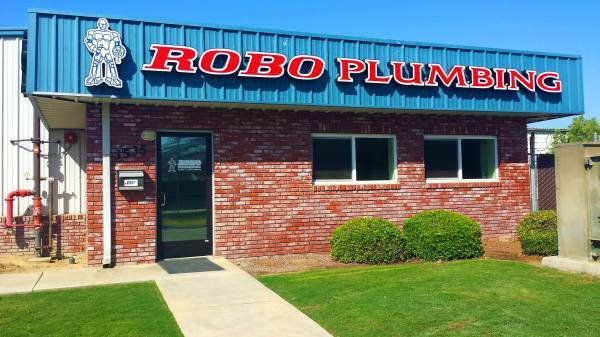 Robo Plumbing is a plumbing company in Bakersfield that has the professional skills and technology needed to repair or install natural and propane (LPG) gas lines for residential and commercial properties. When you have a gas line installation you need done, call your professional Bakersfield plumbing company, so you know the job is done right and in a reasonable time. Interested in Gas Line Services? We offer professional gas leak detection and gas line repair services. We also install new gas lines. Water Heaters, Ovens, Furnaces, Dryers, Outdoor Gas Lines, and More!